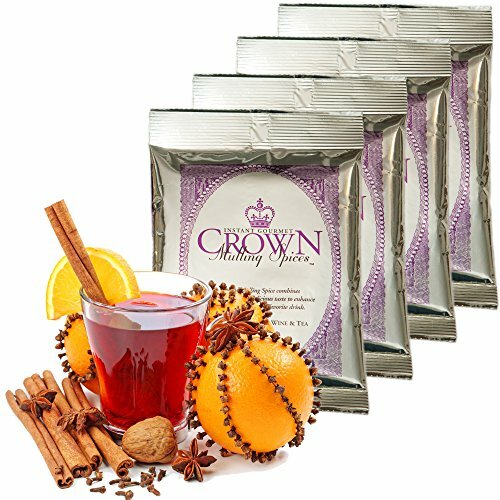 You will receive 4 Crown Mulling Spices and 1 Recipe booklet with recipes to try out. Perfect for spiced apple cider, hot mulled wine, spiced cranberry juice, spiced apple juice and many other recipes included. The mulling spice mix instantly dissolves. All natural flavors, fat free, and has no cholesterol, caffeine, or sodium. Made in the USA. Conveniently packaged for a gift to give or receive. Thanksgiving, Christmas, office gift, birthdays, wedding, anniversaries etc. If you have any questions about this product by TwoStripes, contact us by completing and submitting the form below. If you are looking for a specif part number, please include it with your message.